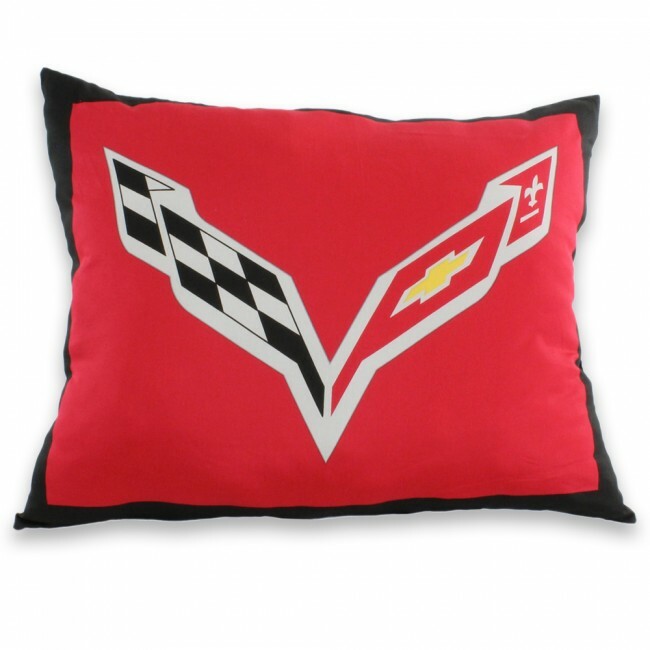 This C7 Corvette pillow is made from 100% cotton sateen and 200 thread count for a nice and soft feel. Stuffed with a fluffy poly-fill and printed with the C7 logo both on the front and back. Measures 20” X 28” and is a perfect fit for any Corvette room. Imported.